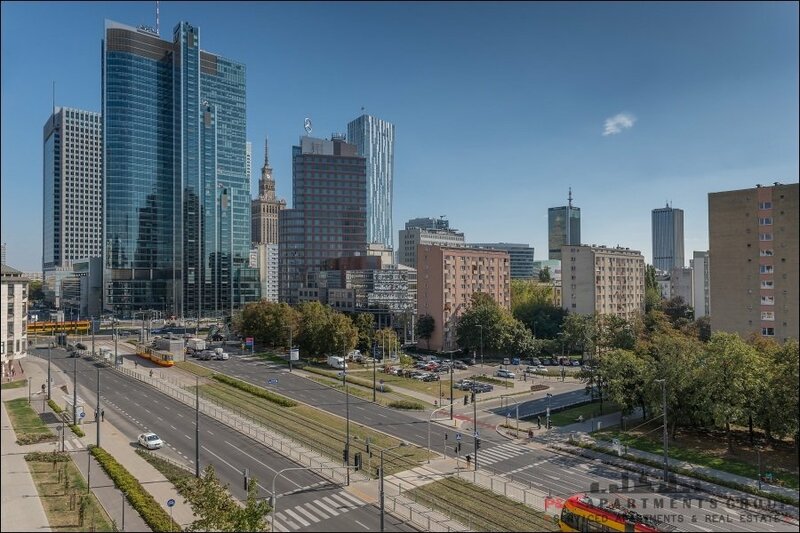 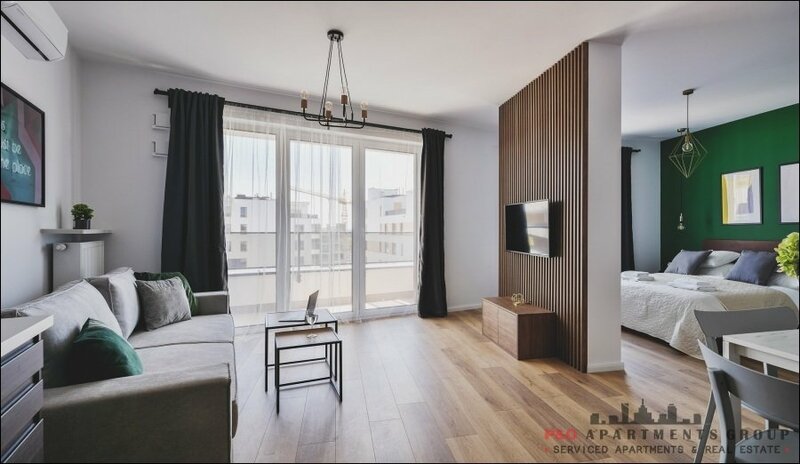 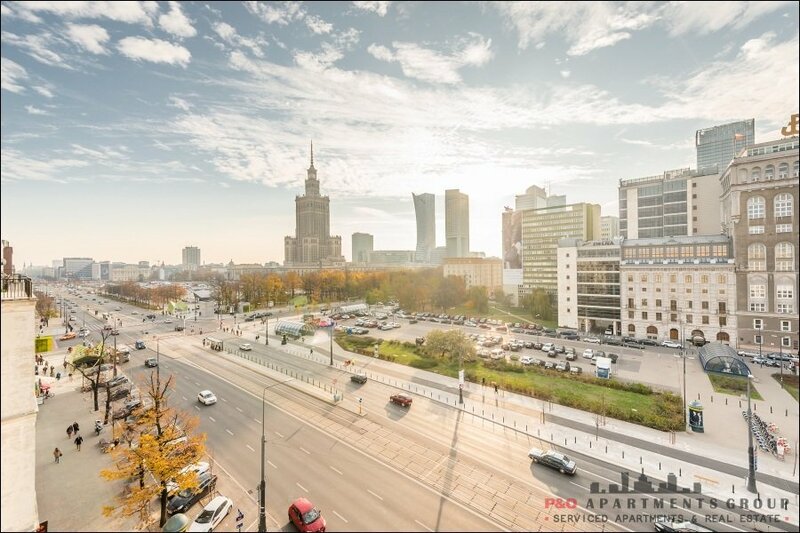 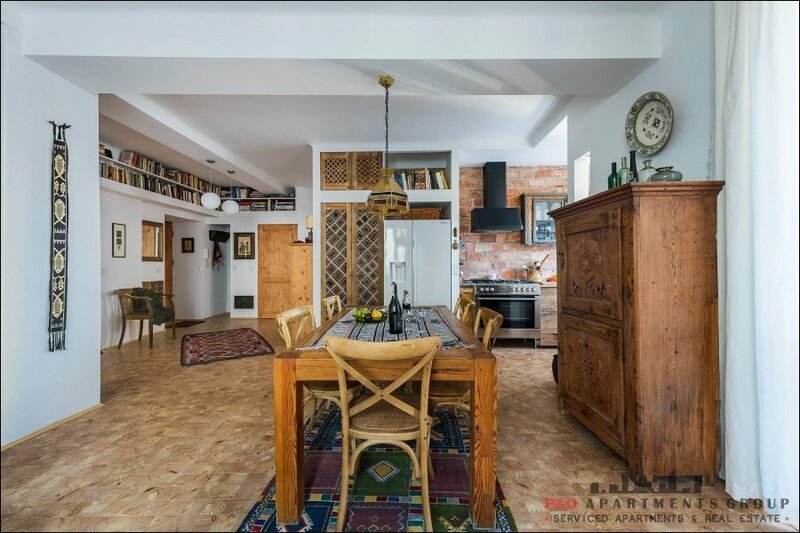 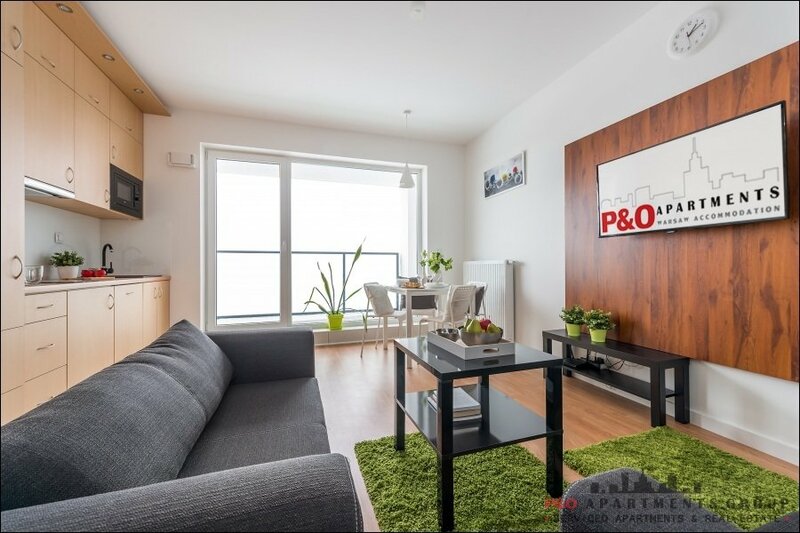 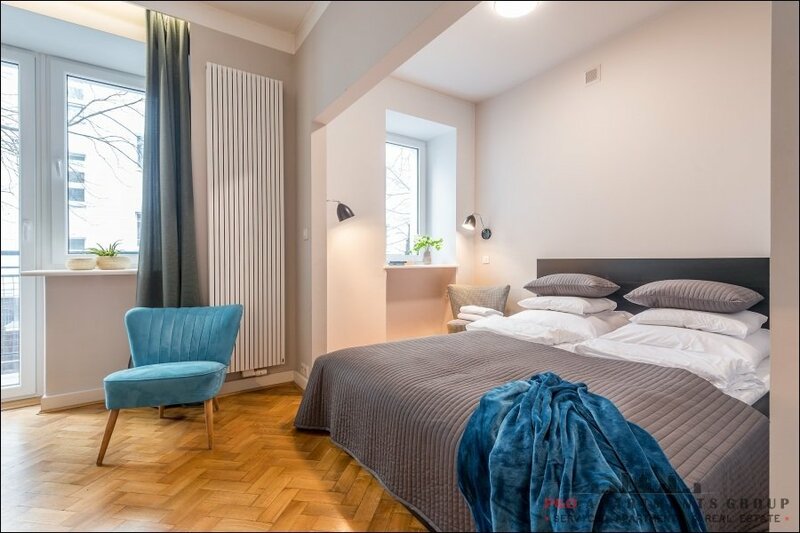 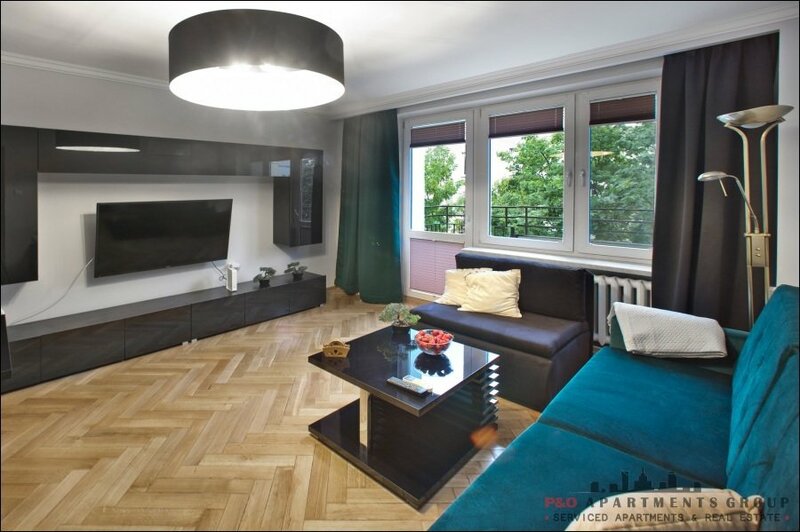 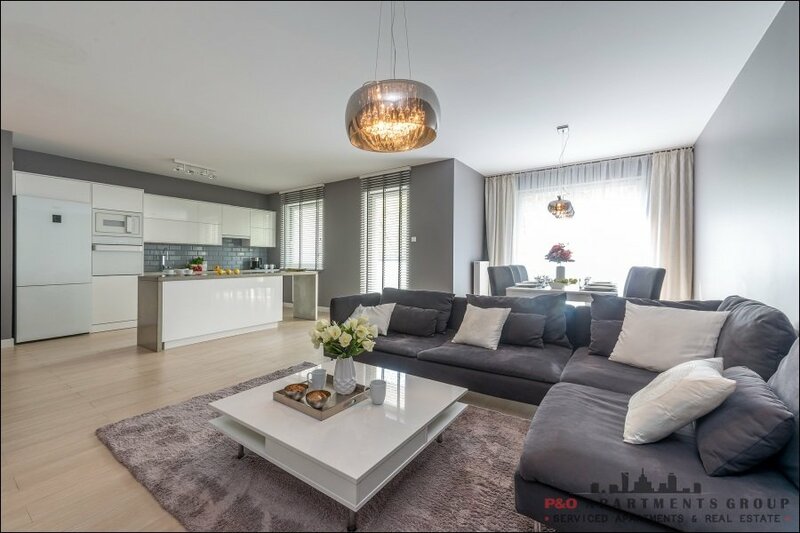 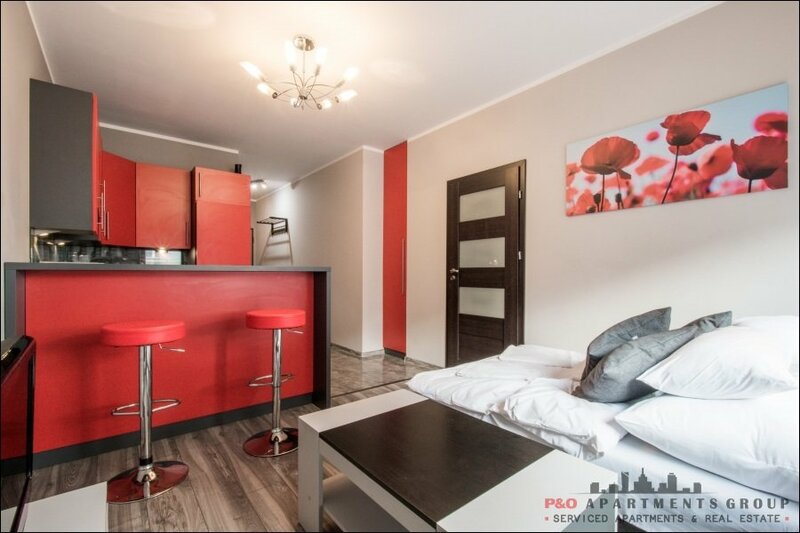 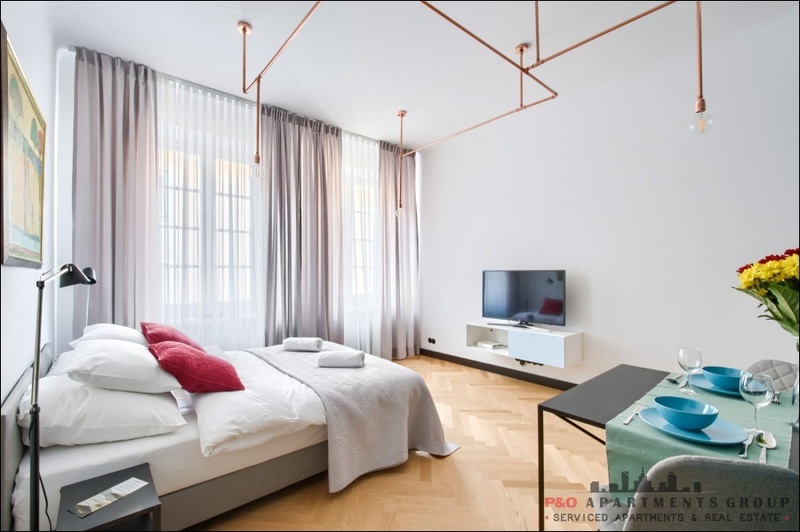 Modern apartment on the 2nd floor in a new building at SOHO FACTORY on 20 Zupnicza street Street (Praga district) with an elavator. 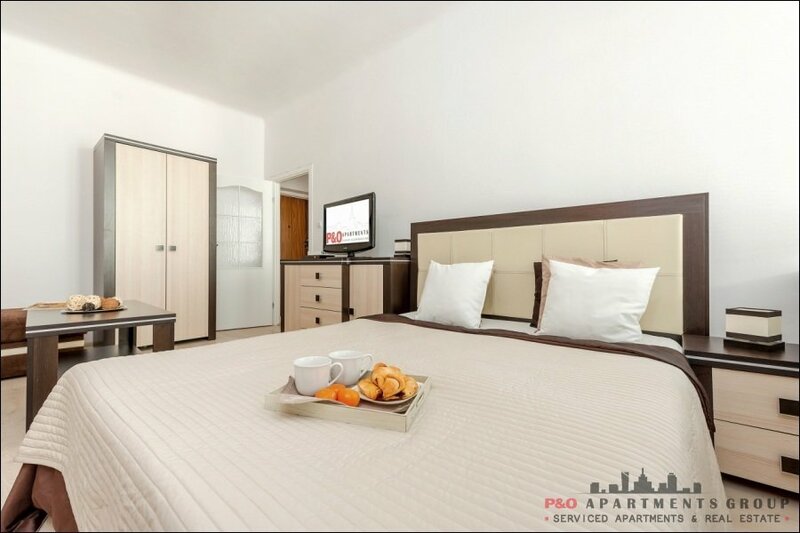 Apartment fully equipped, consists of comfortable bedroom with a double bed, a living room with sofa bed and table with chairs. 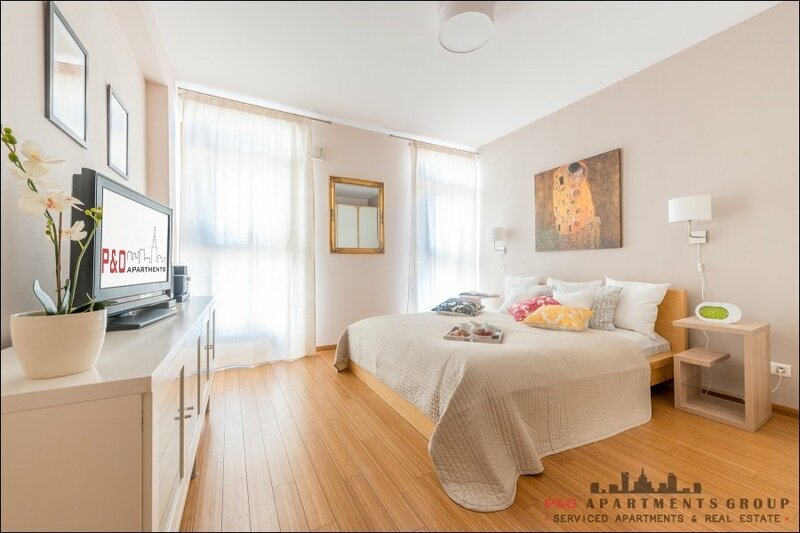 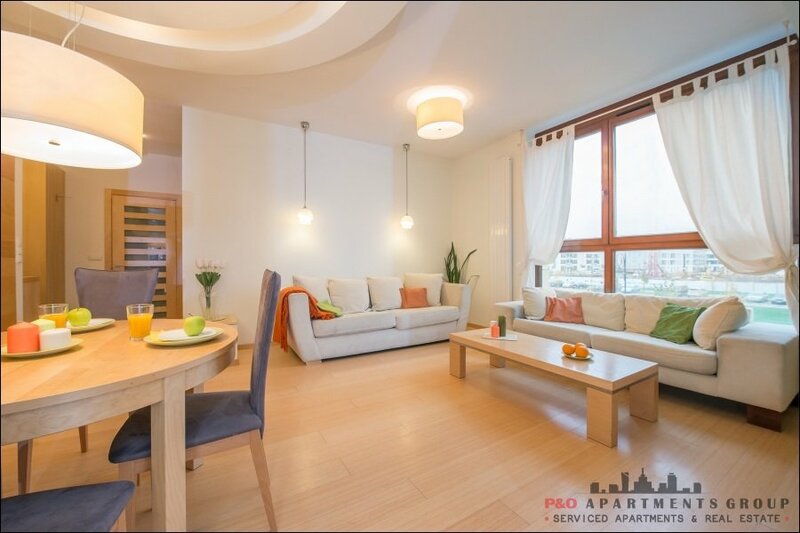 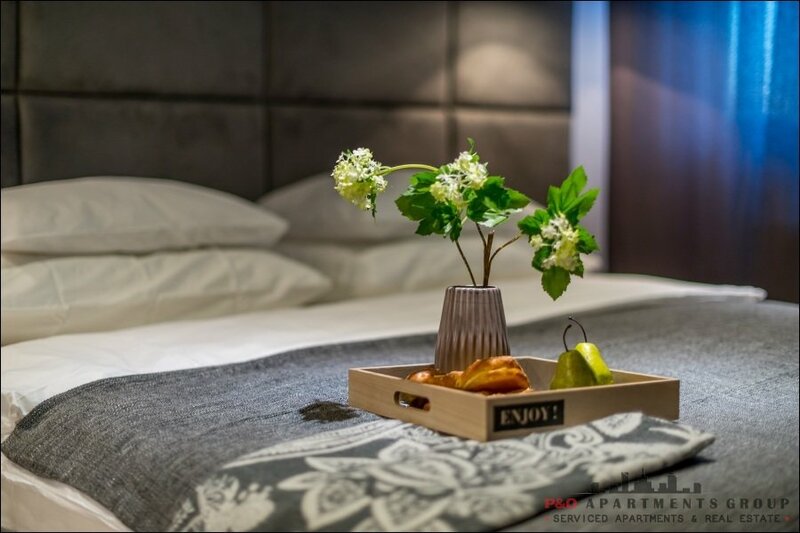 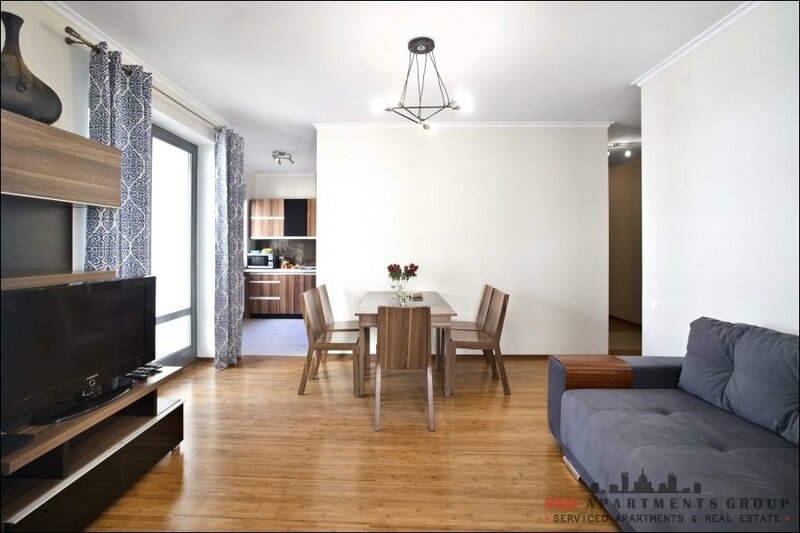 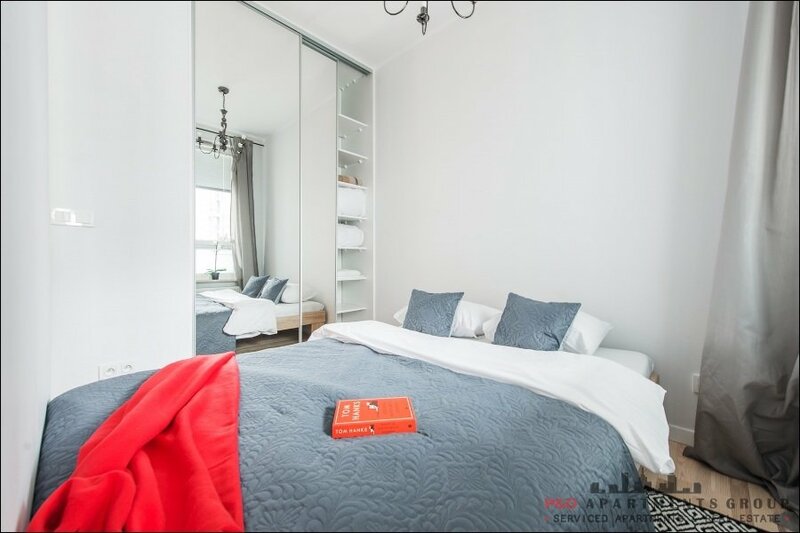 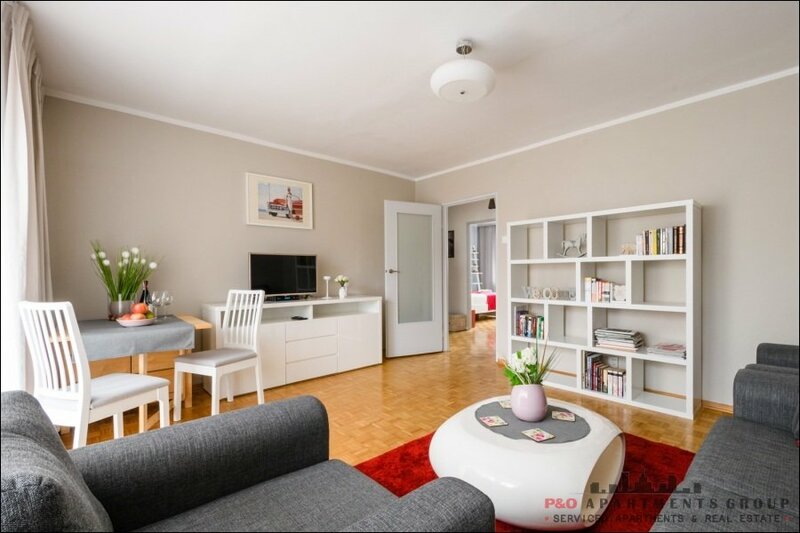 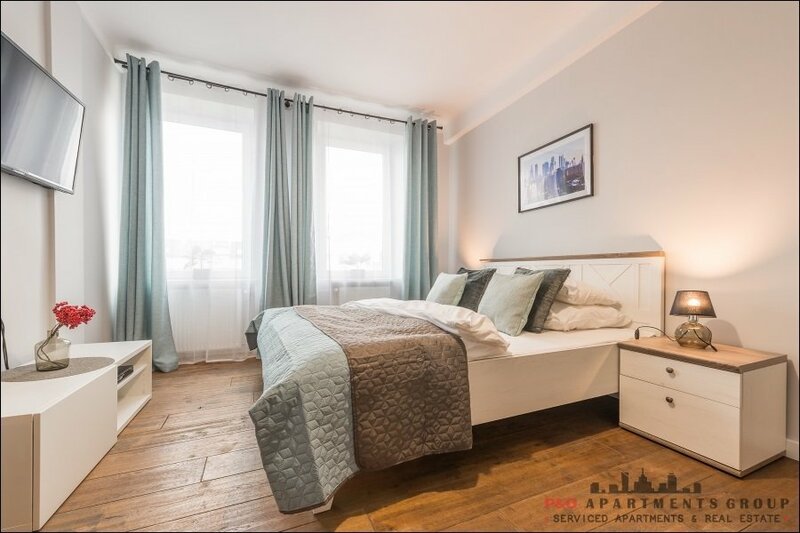 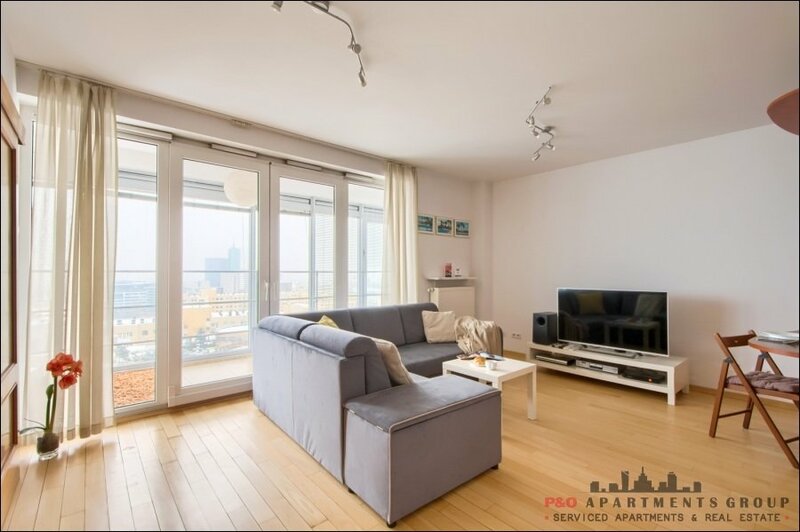 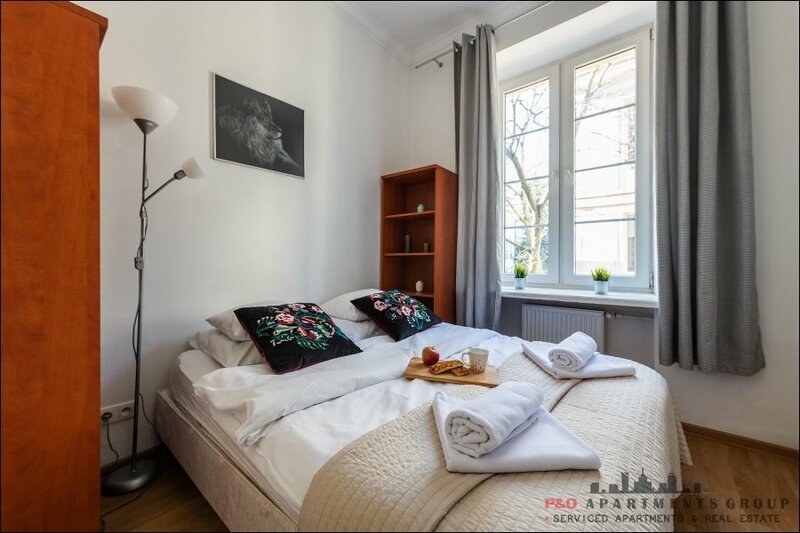 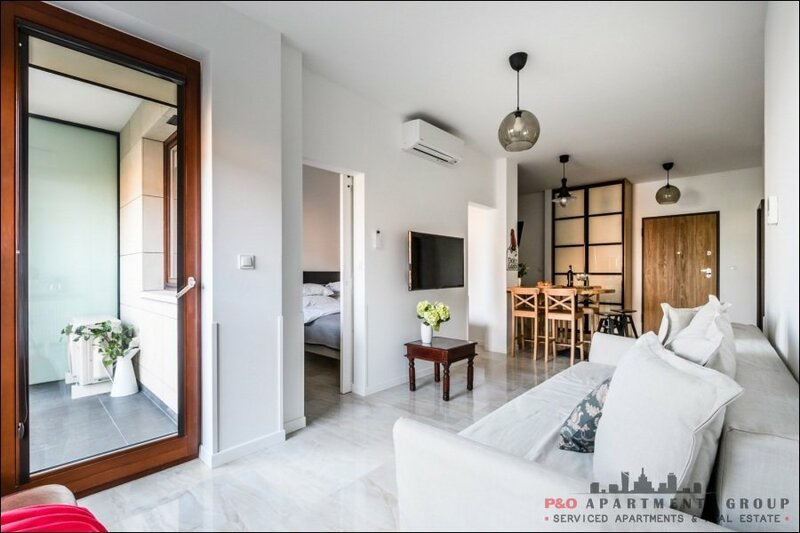 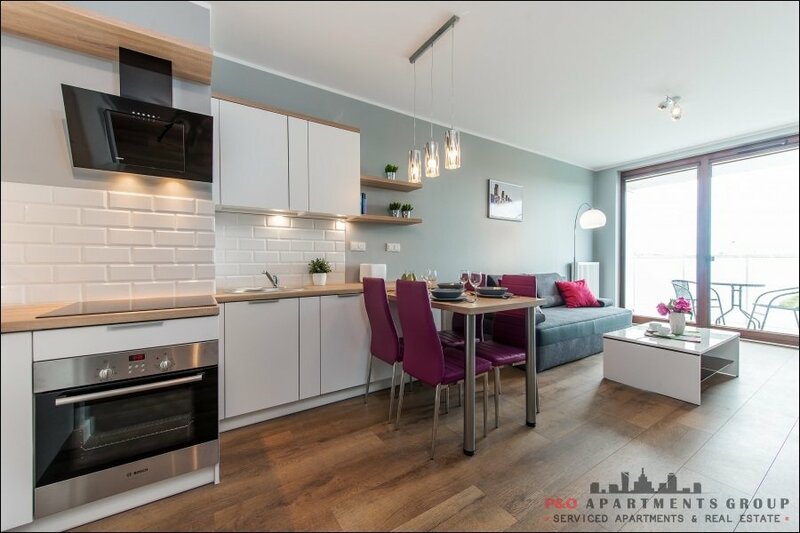 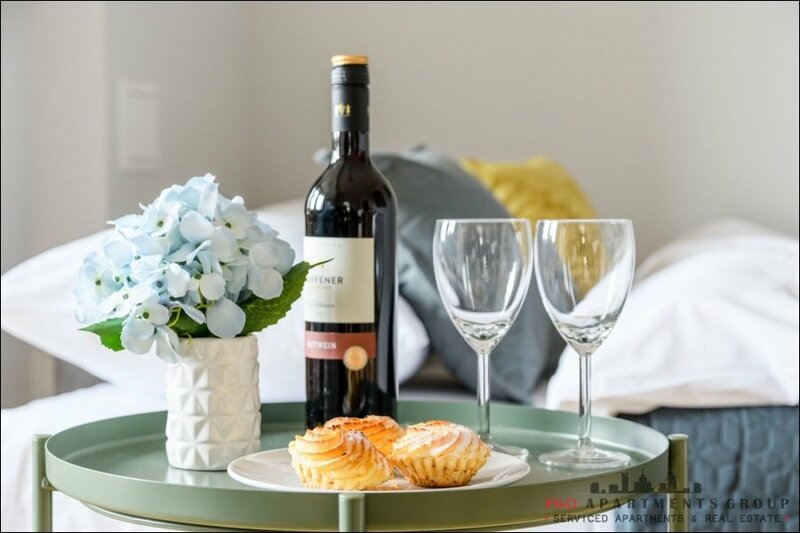 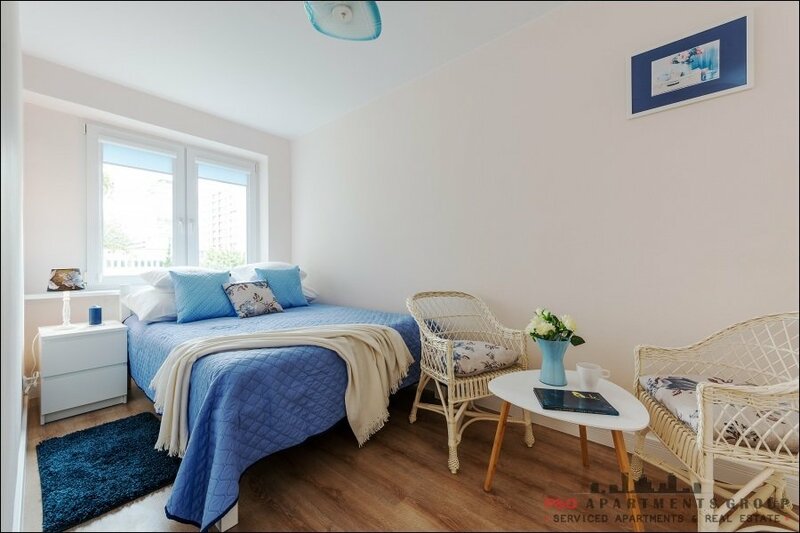 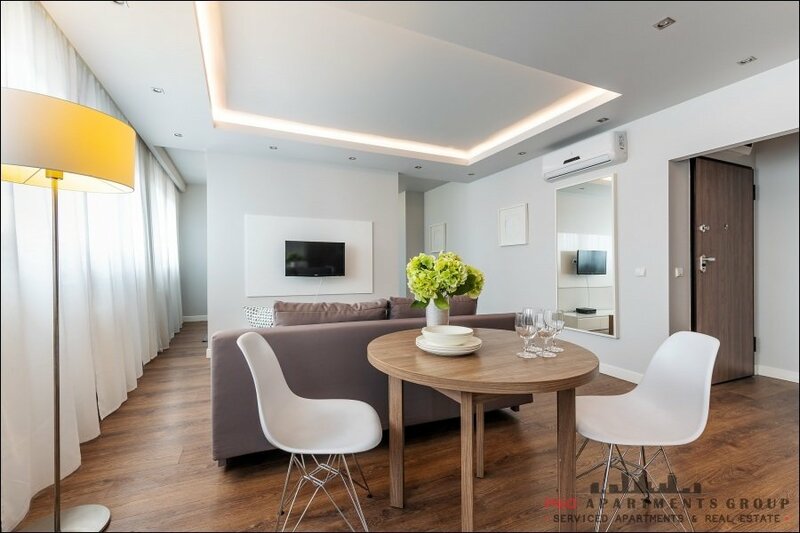 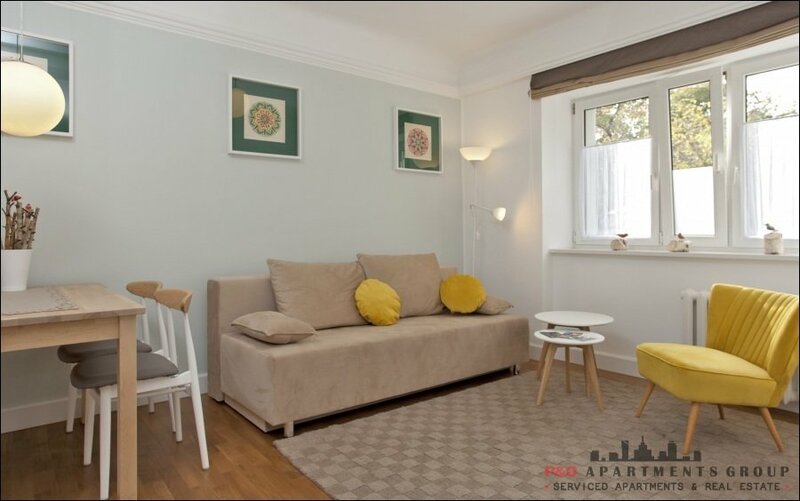 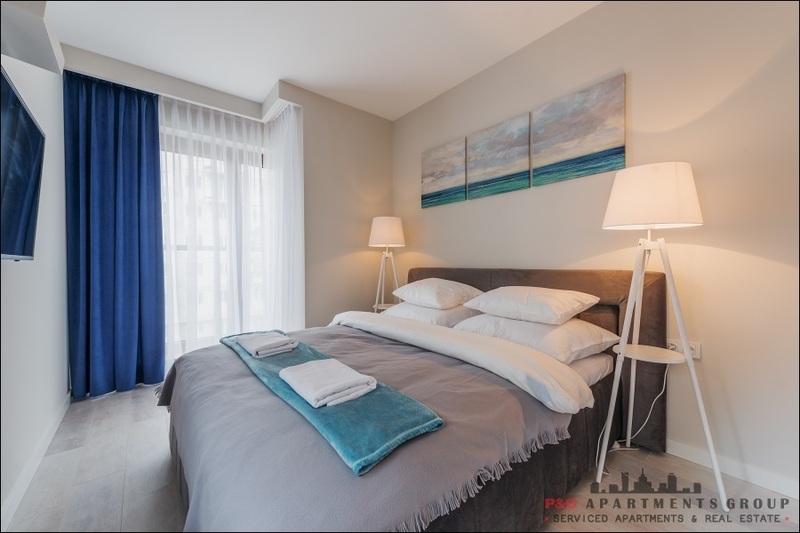 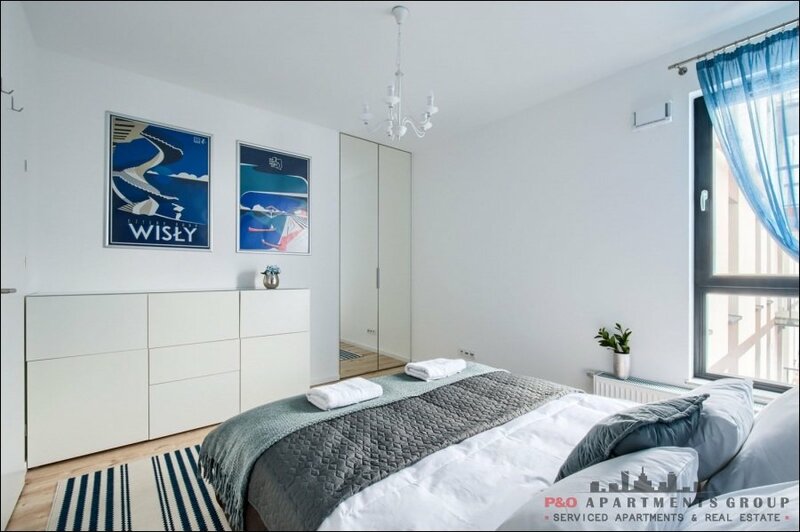 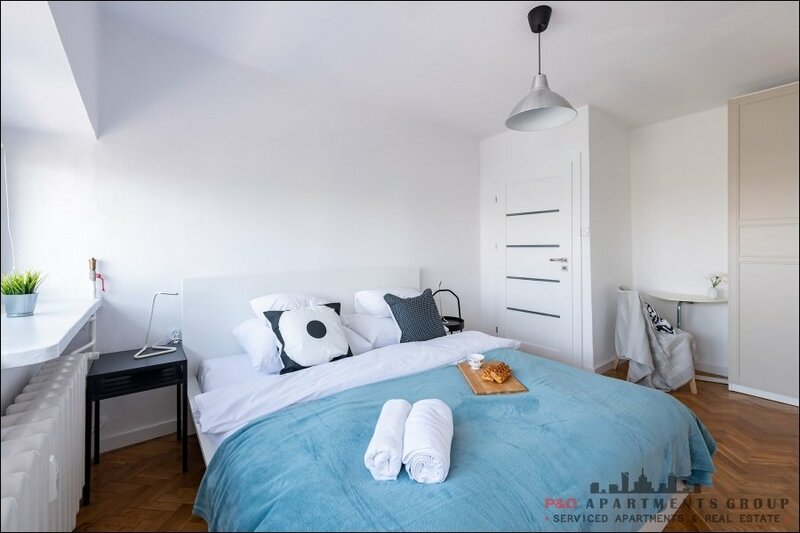 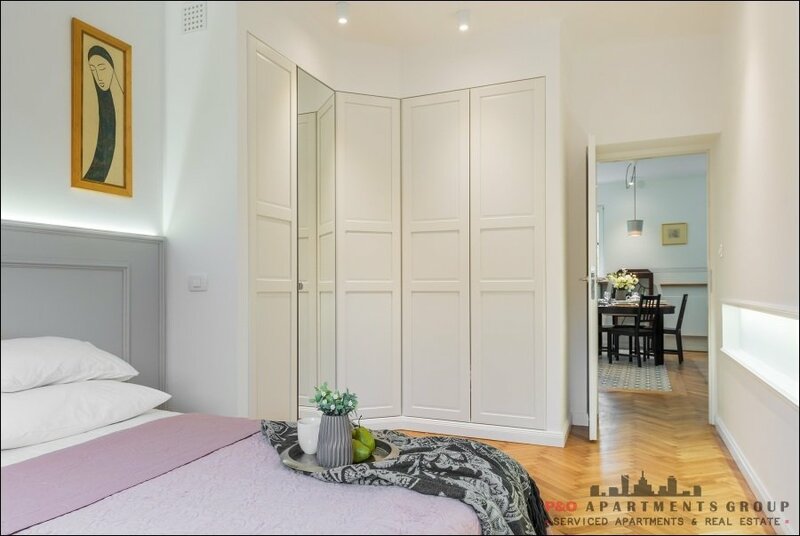 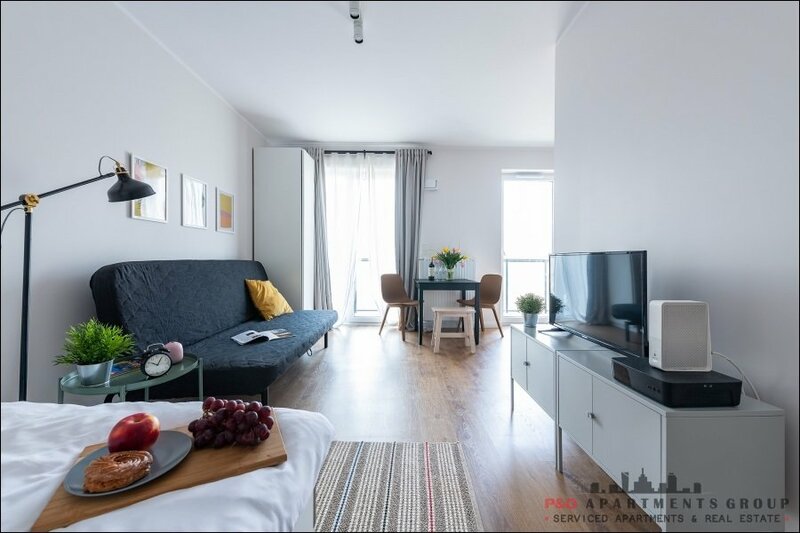 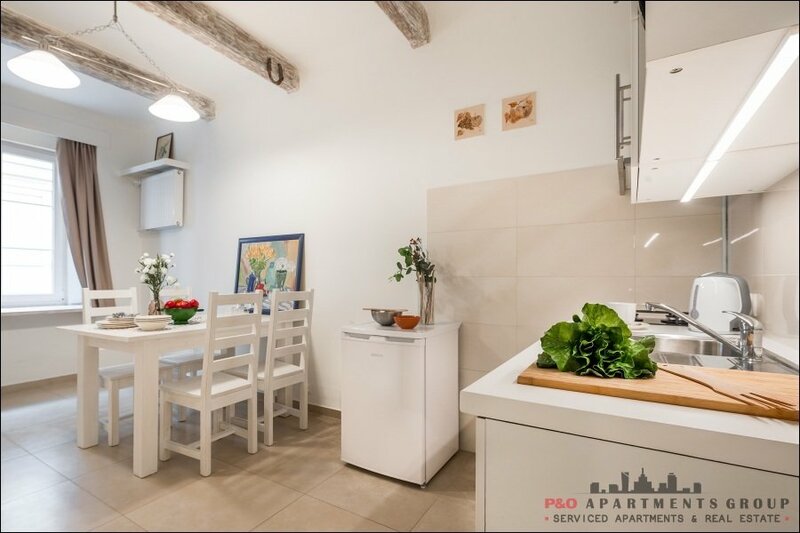 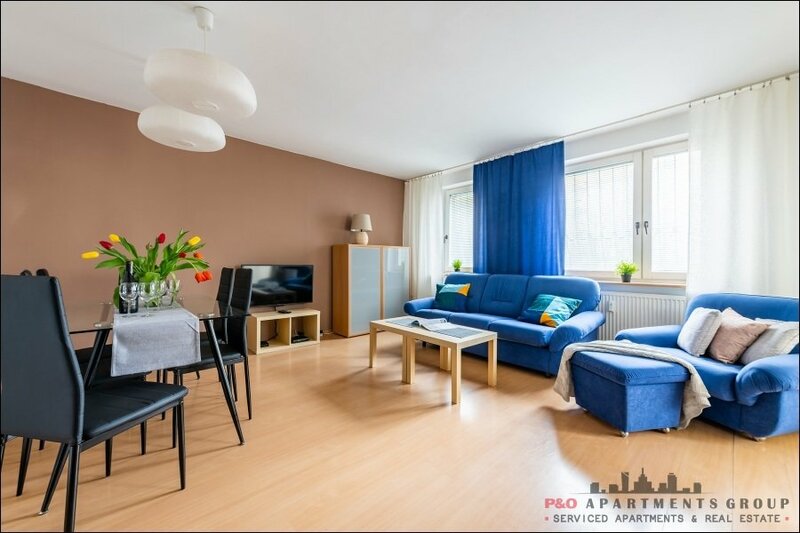 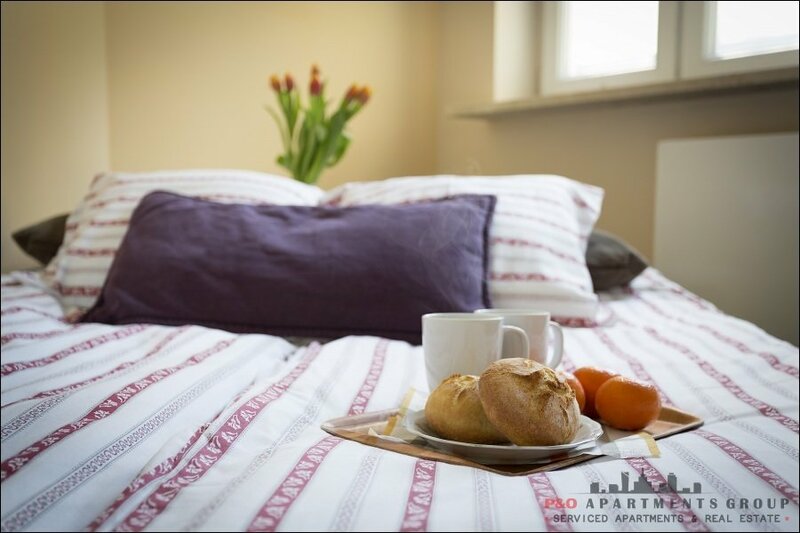 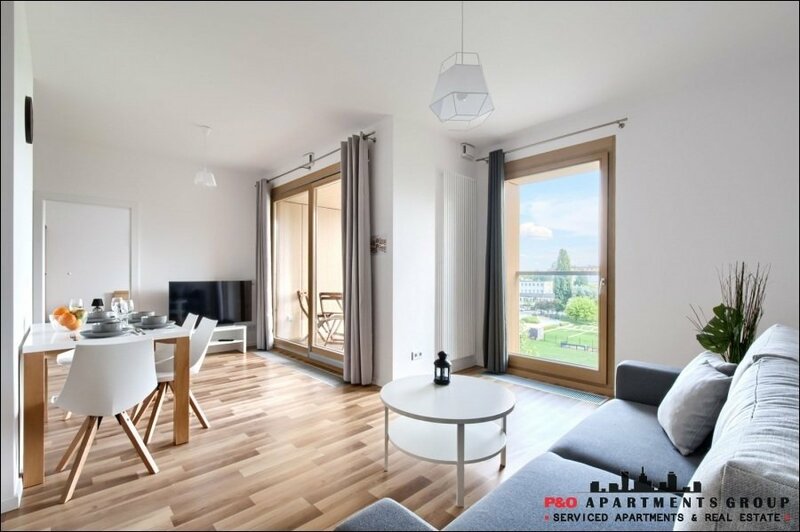 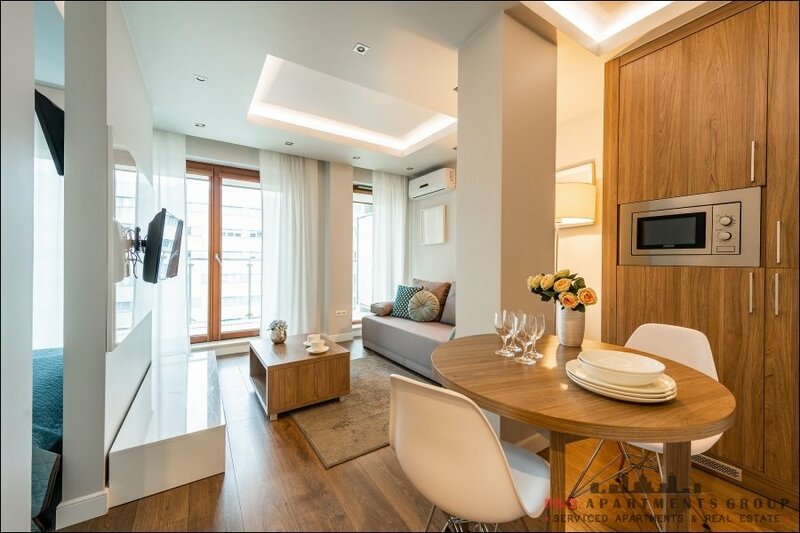 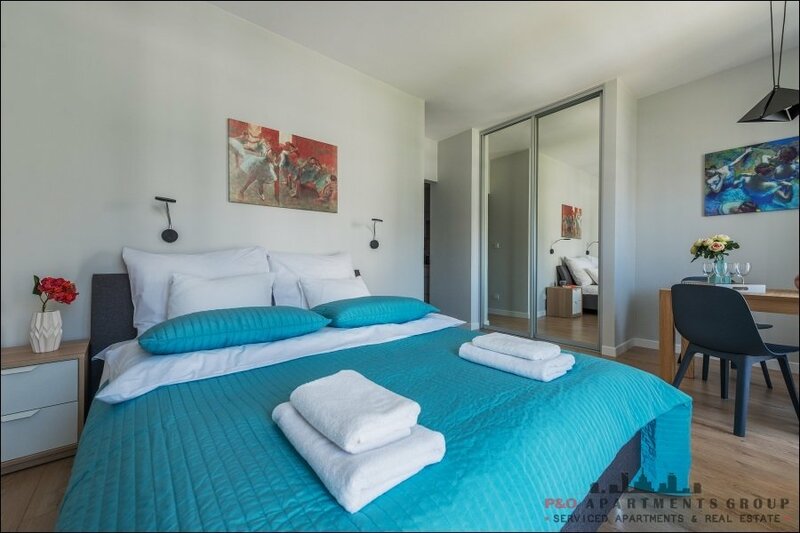 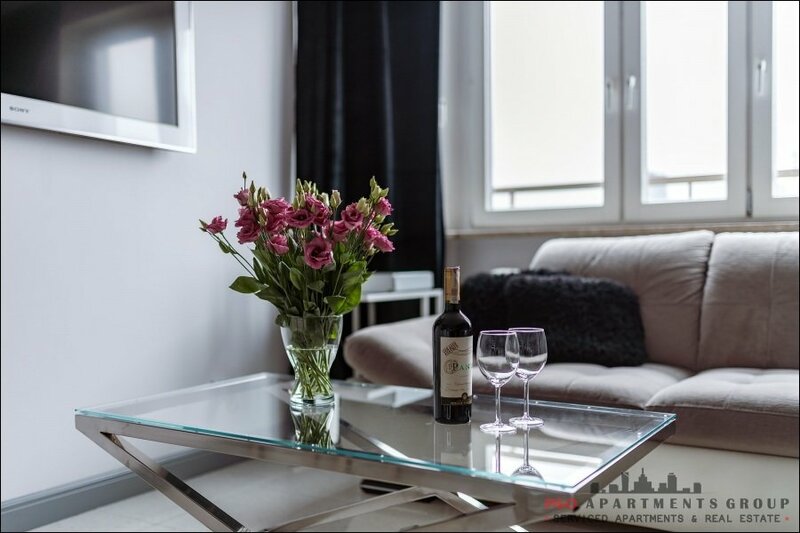 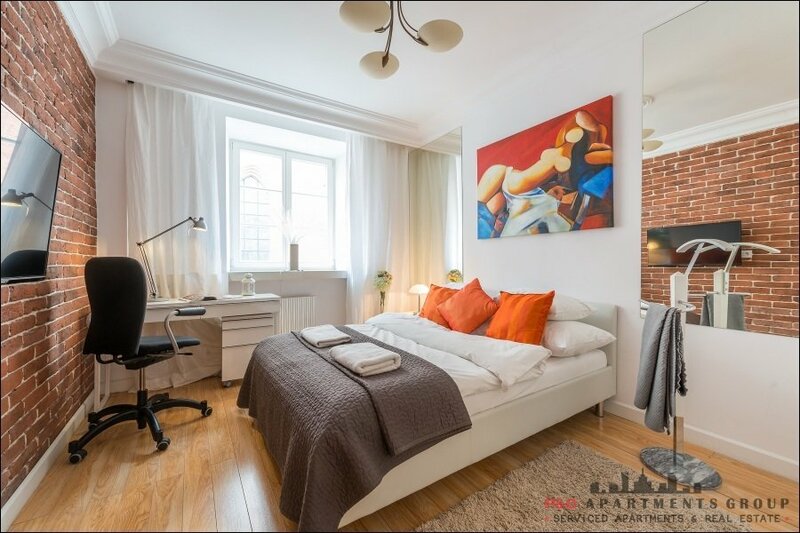 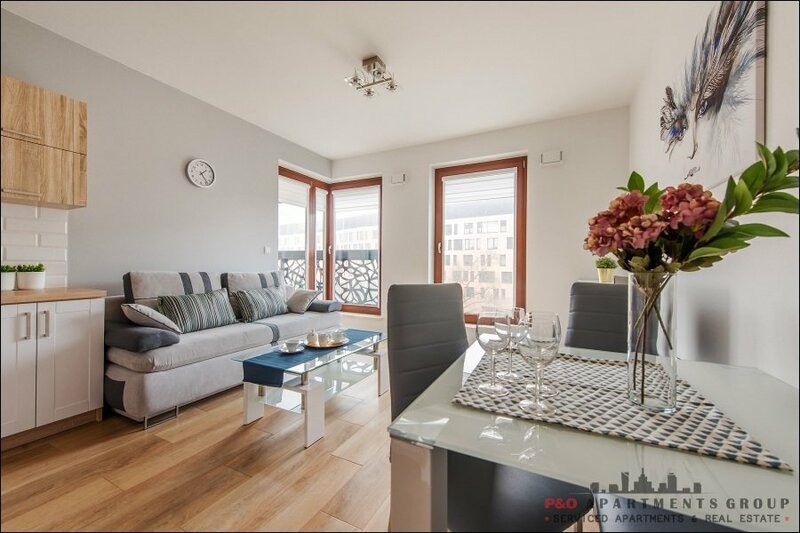 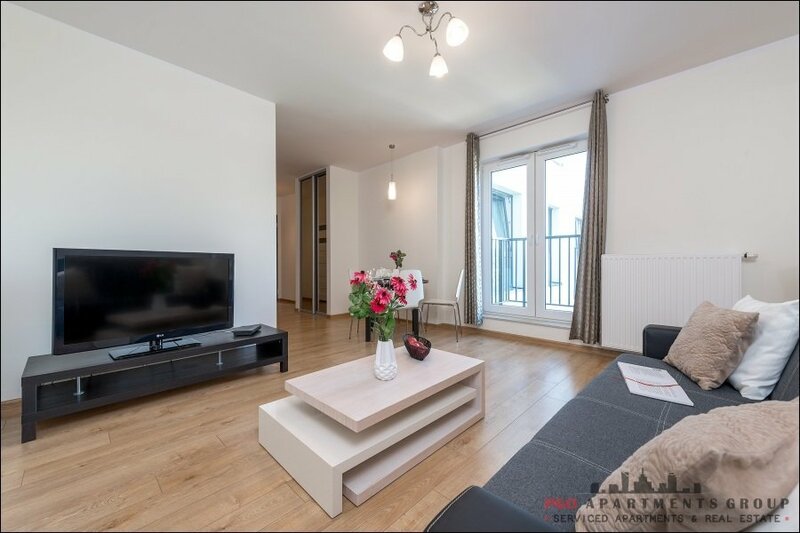 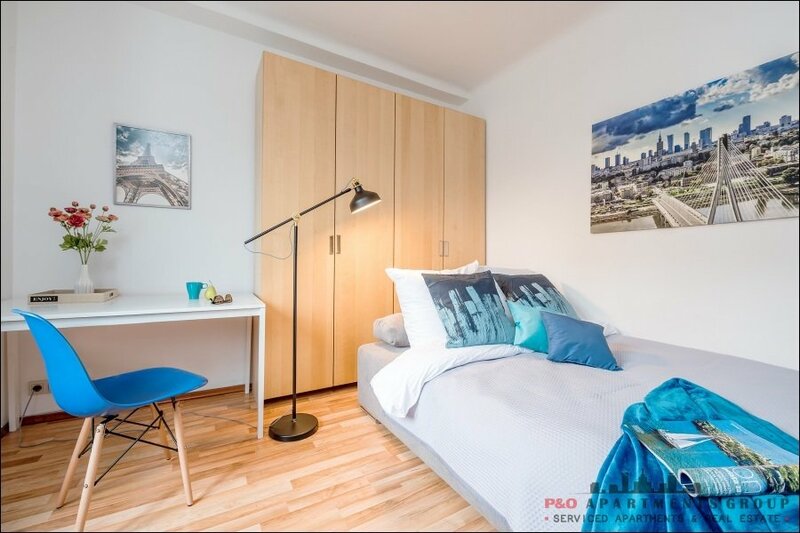 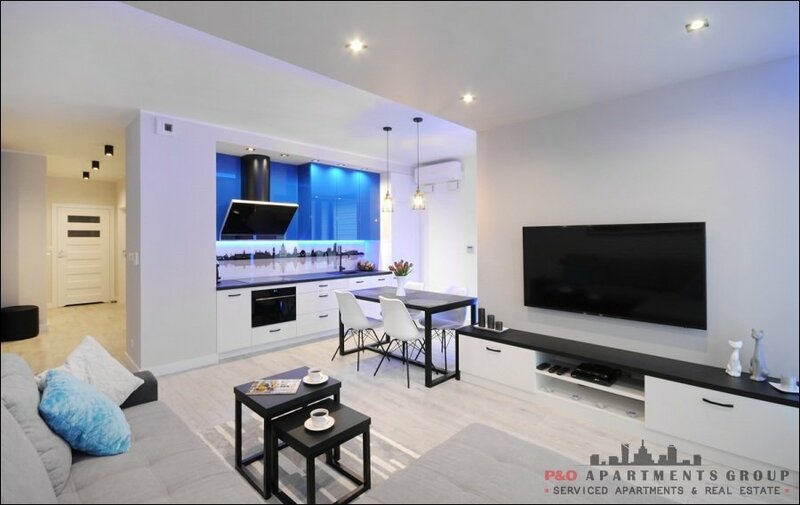 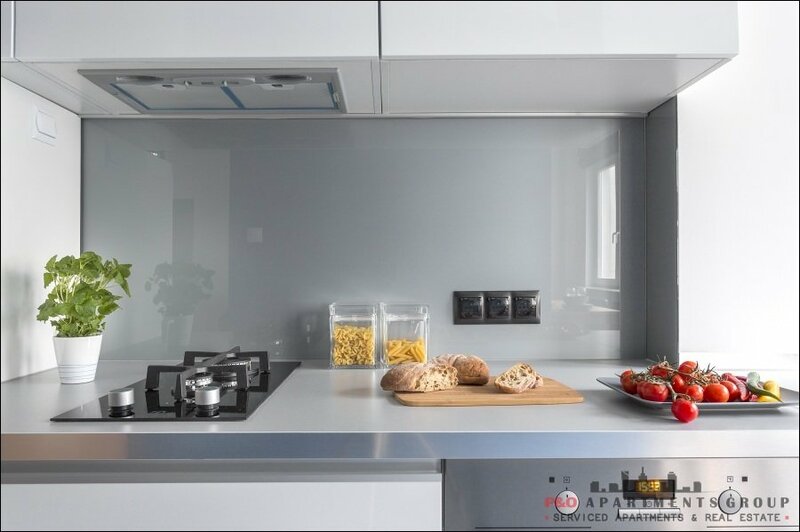 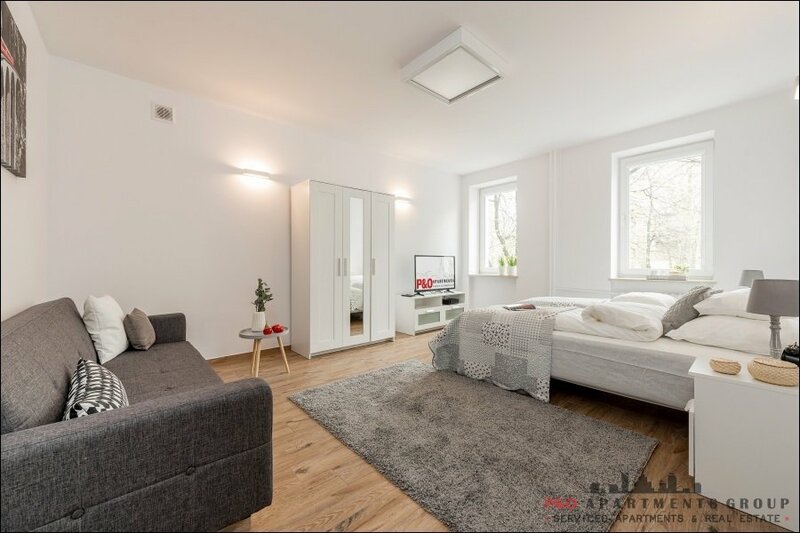 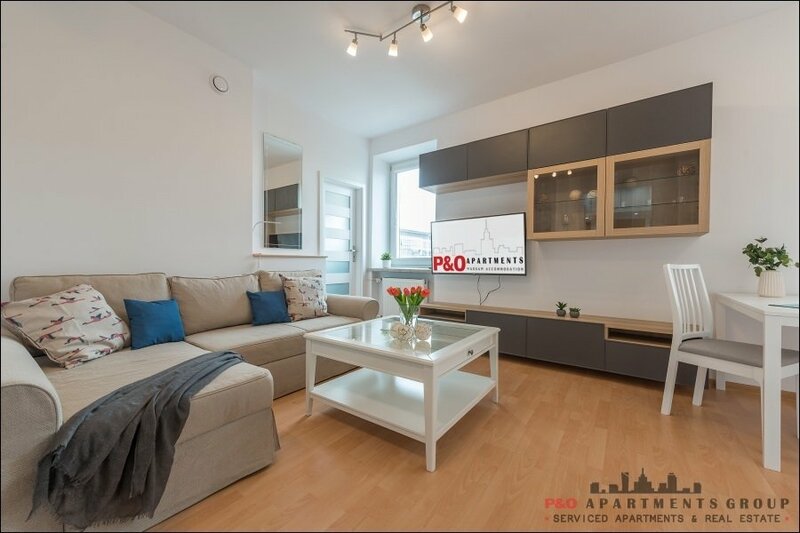 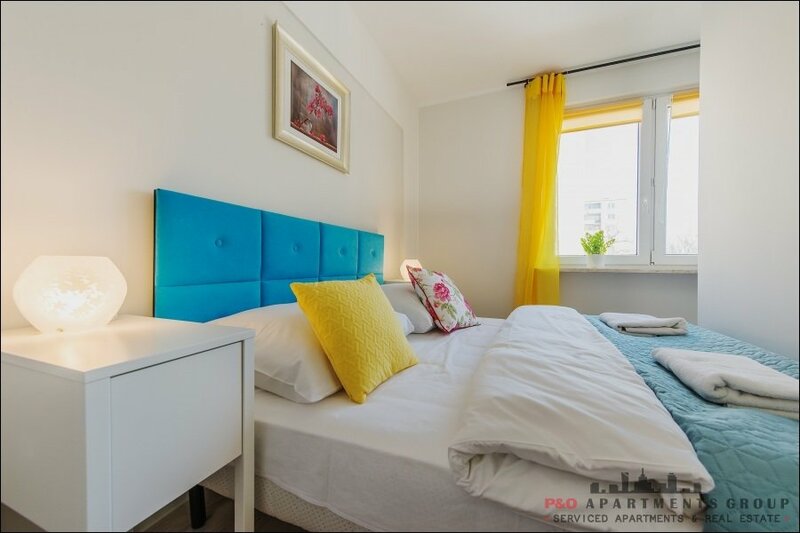 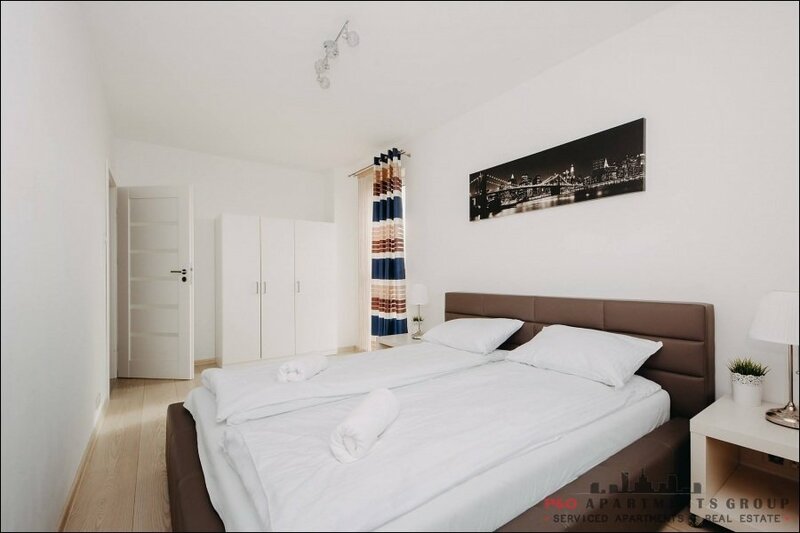 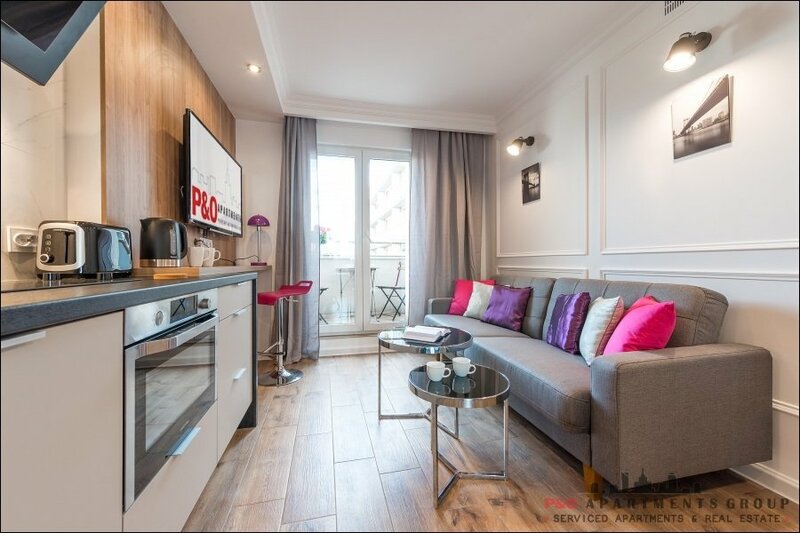 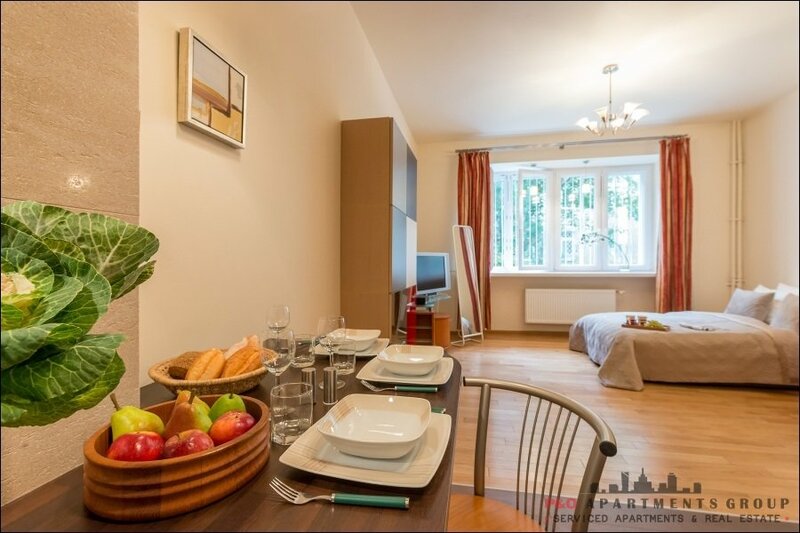 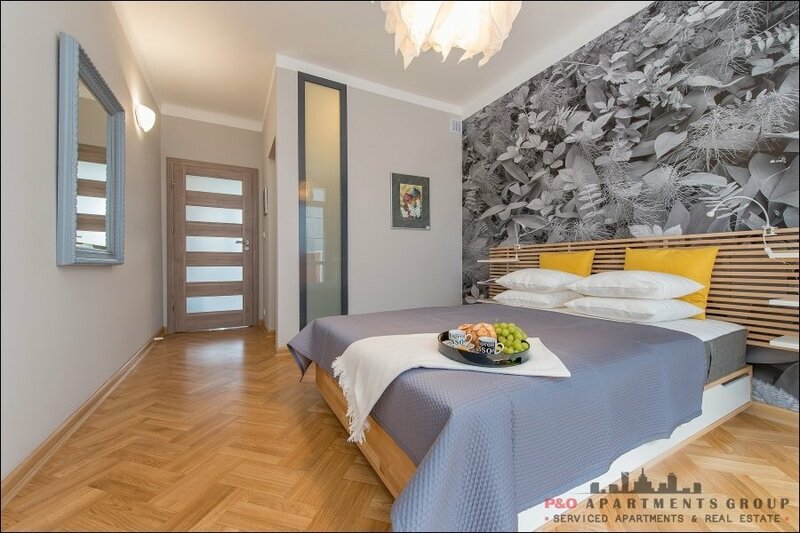 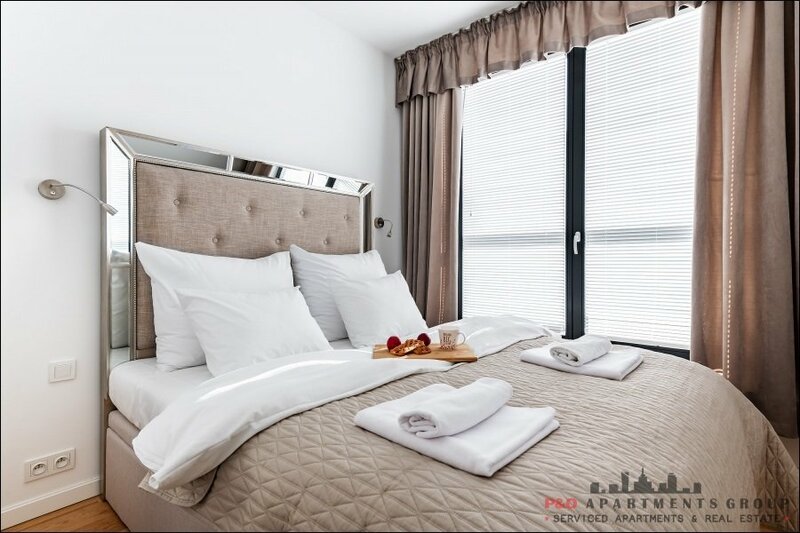 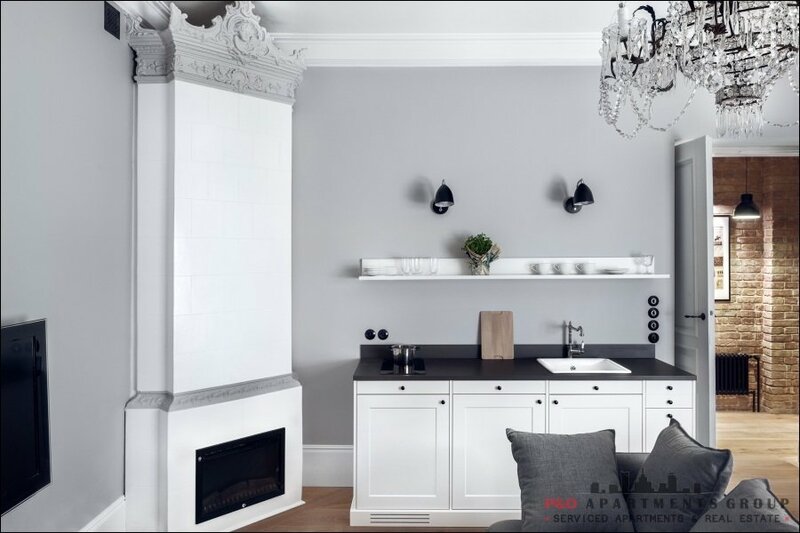 In the apartment you'll find the equipment necessary for everyday life, fully equipped kitchenette, washing machine, dryer, cooking utensils, large wardrobe. 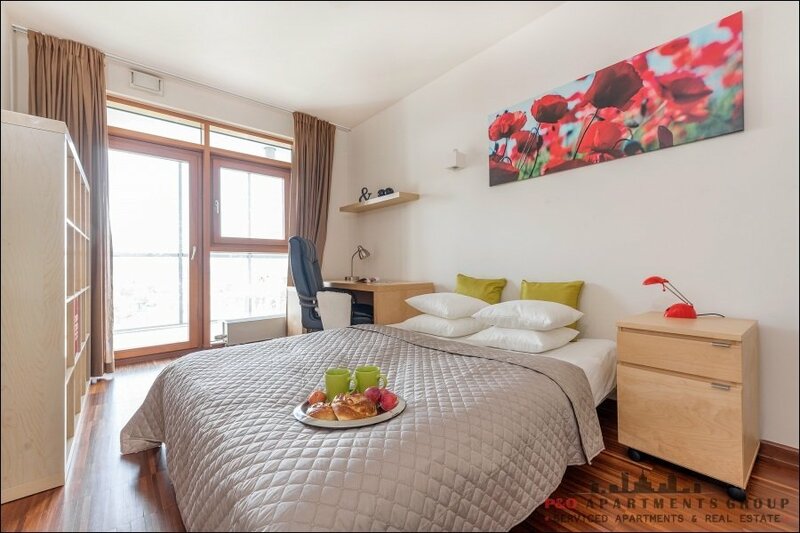 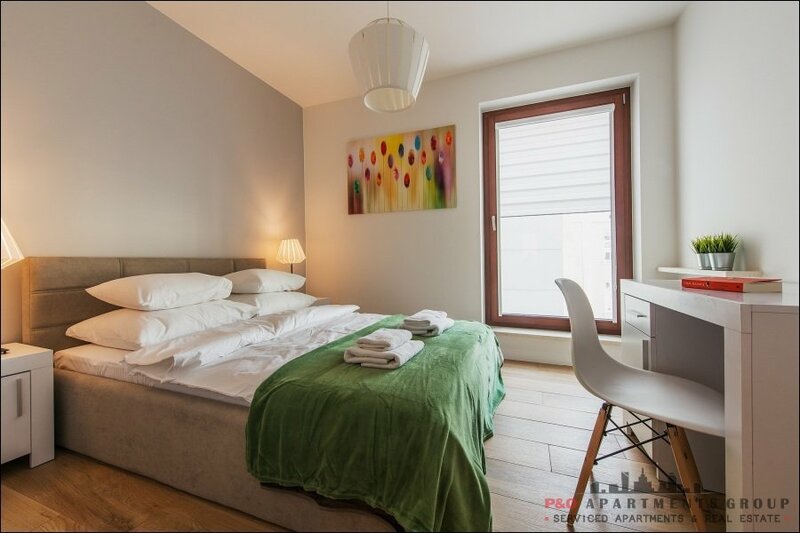 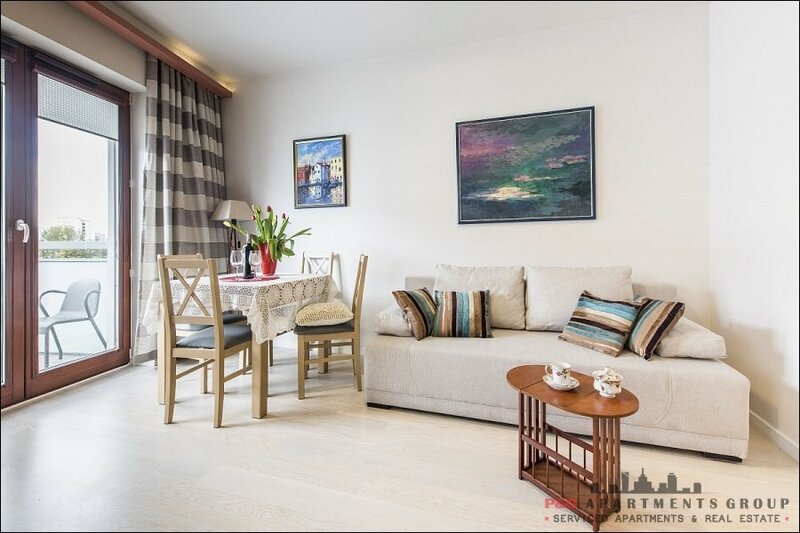 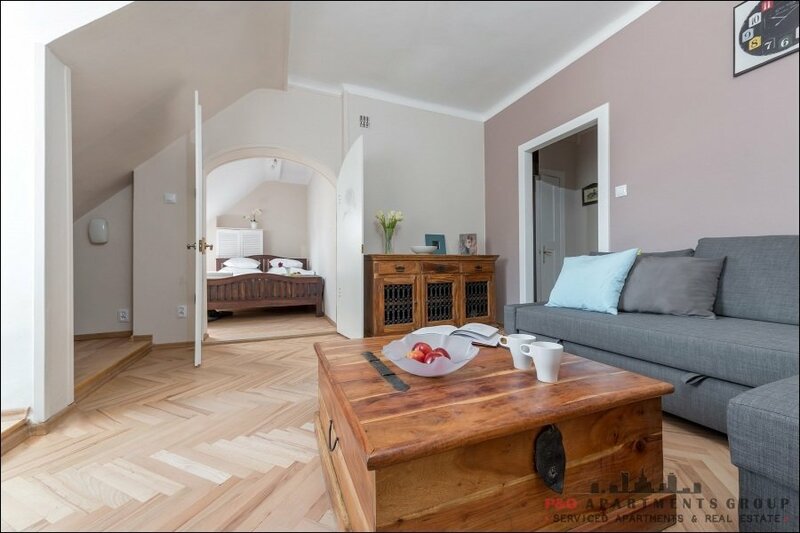 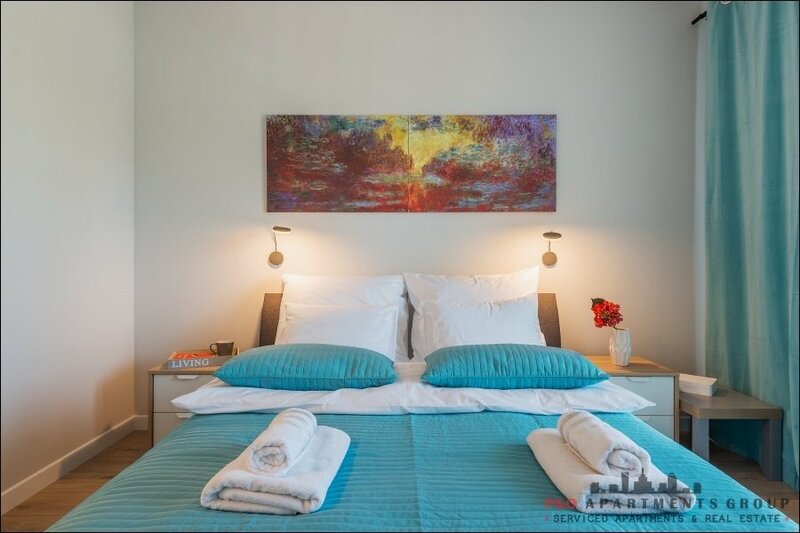 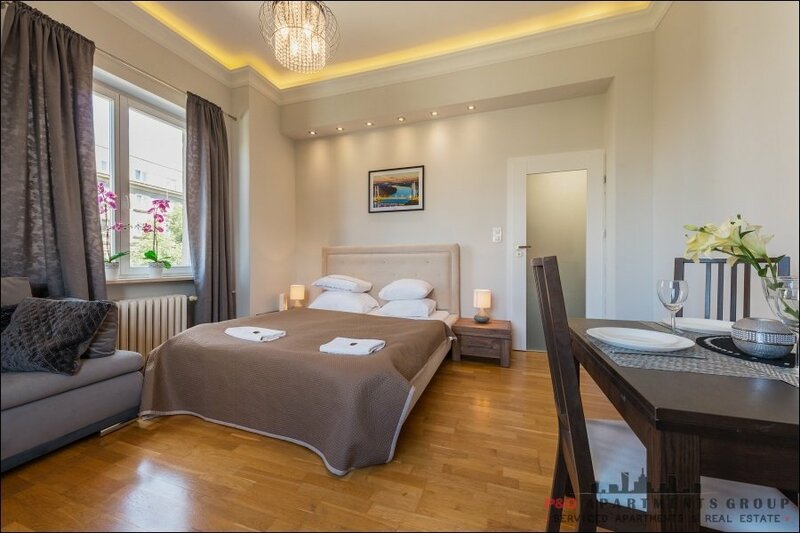 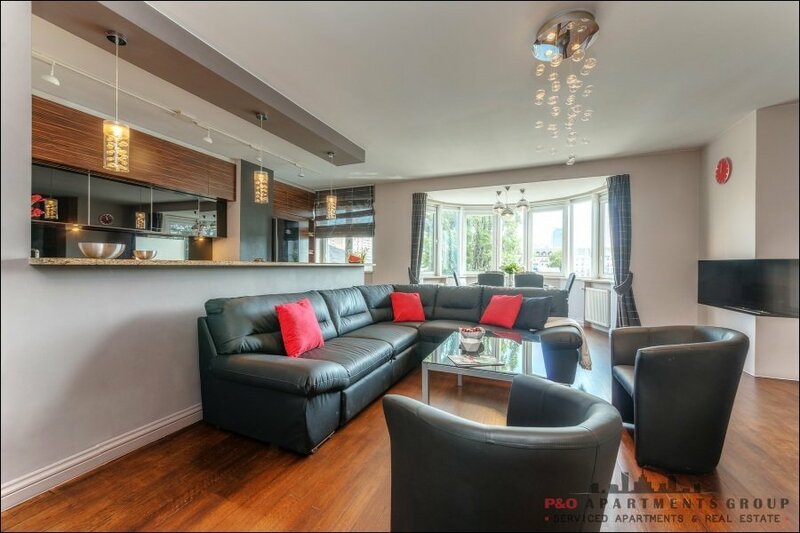 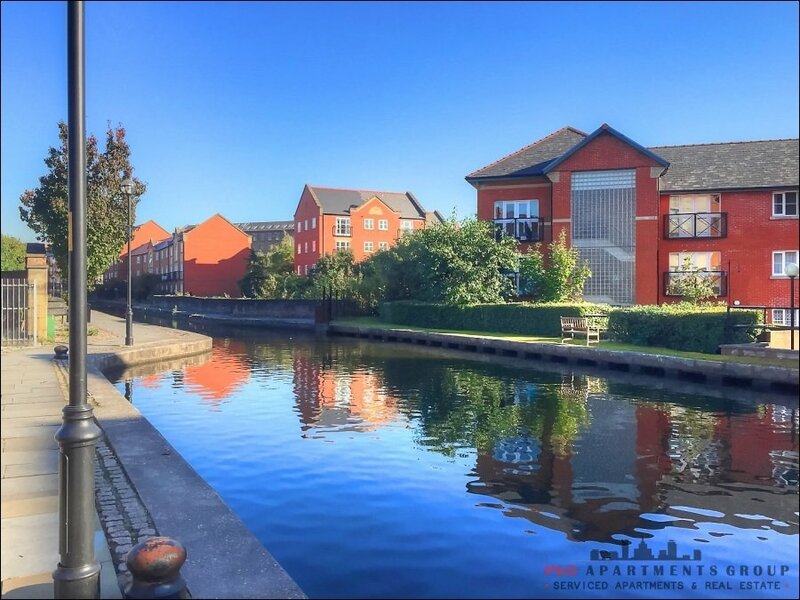 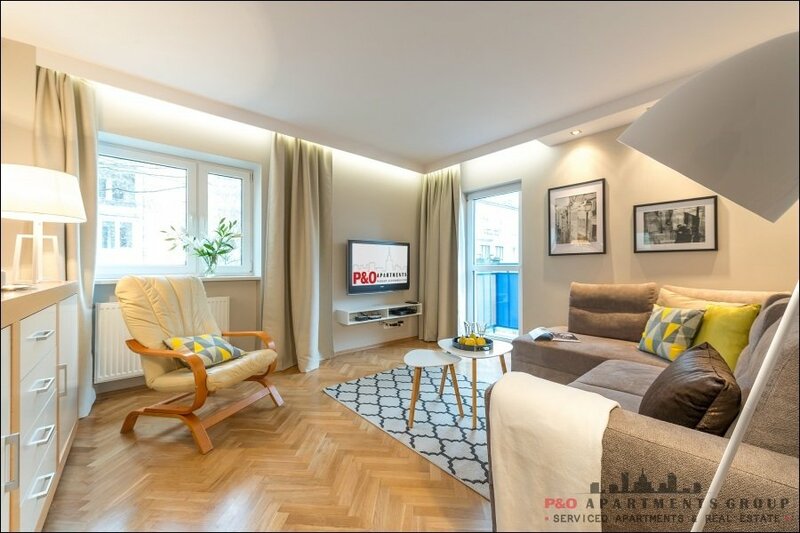 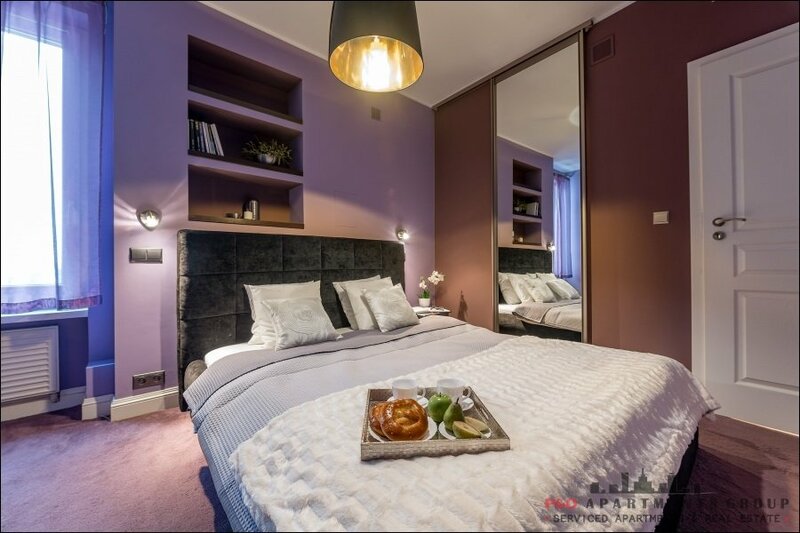 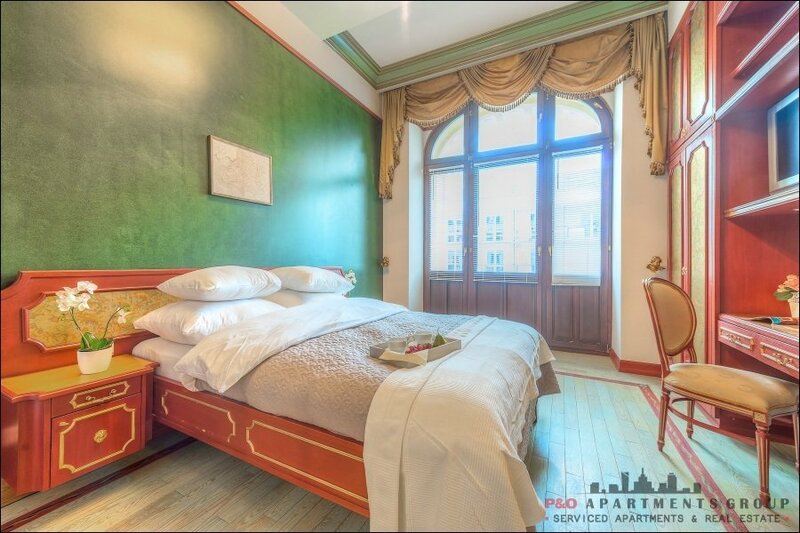 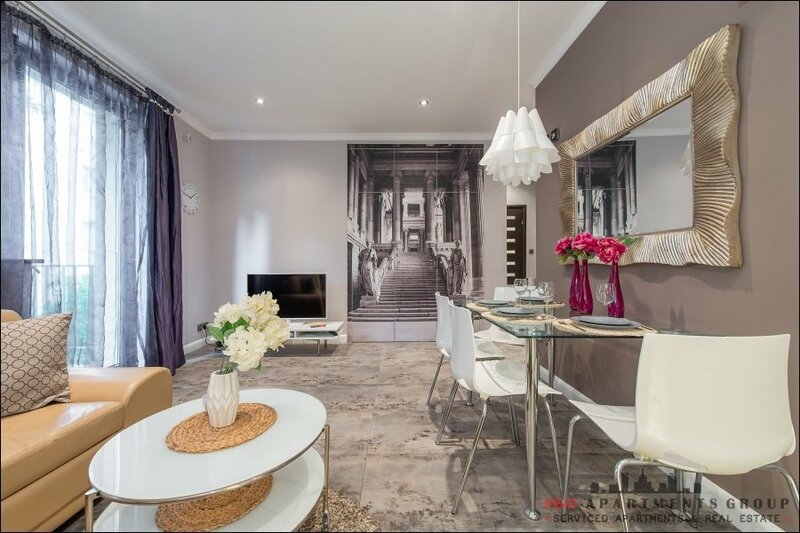 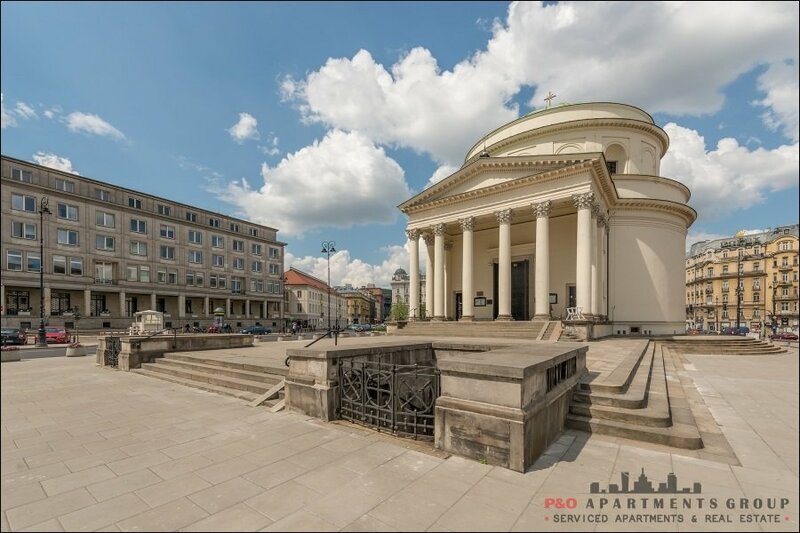 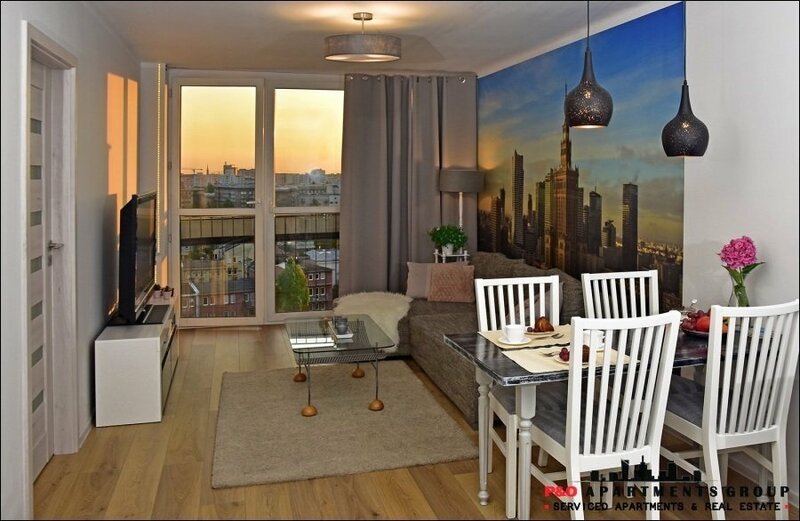 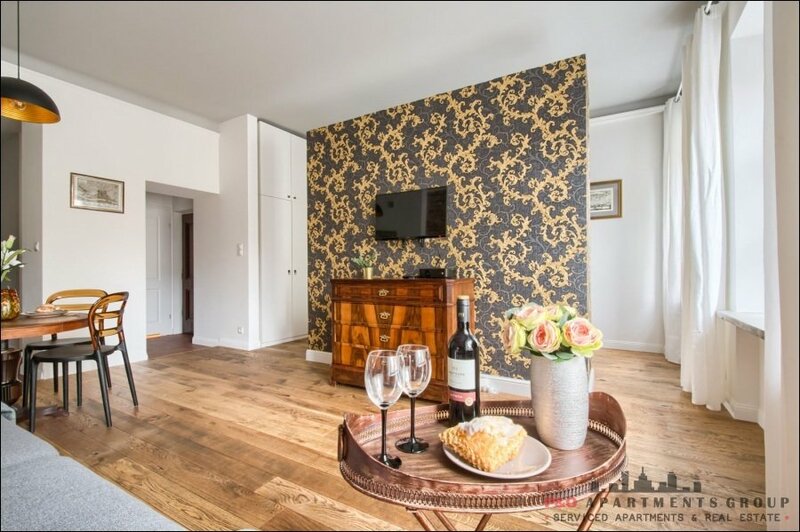 Apartment perfect for long stays, as well as short-term accommodation. 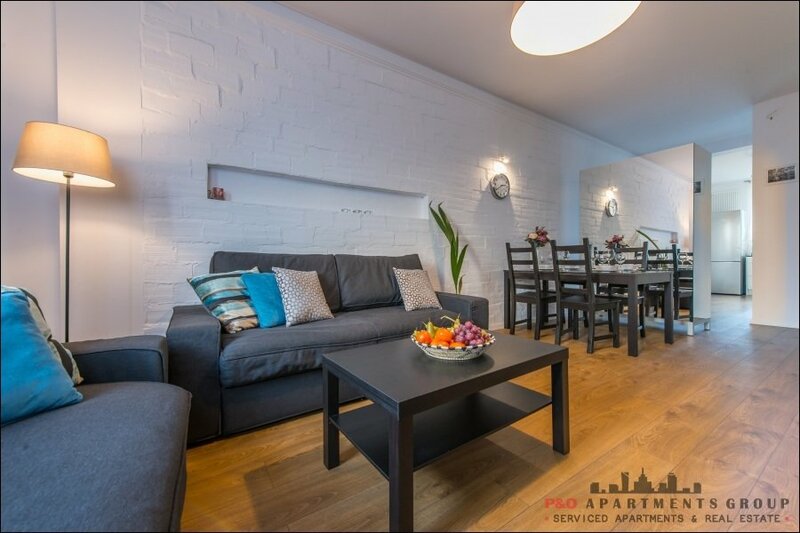 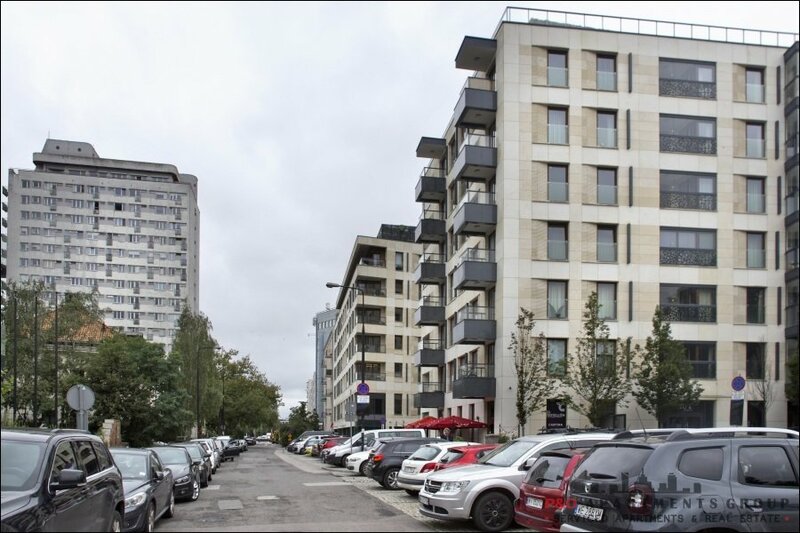 The apartment comes also with parking space in the underground garage.